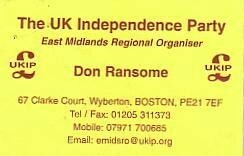 #0496* – UKIP Derek CLARK MEP Called On To resign As A Liar! 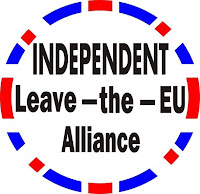 UKIP Derek CLARK MEP Called On To resign As A Liar! Not Just The OLAF Enquiry Over Theft from Public Purse! Derek Clark UKIP MEP is Clearly Unfit For Public Office! & these United Kingdoms which he has betrayed. He is in abuse of his duties as a public servant. Has anyone tried to get an FoI on the outcome of the OLAF enquiry into the frauds of UKIP MEP Derek Clark? From the Case Number I’m not sure if it started on the 9th. of April or the 4th. September 2008 surely the case must have delivered its verdict by now! Or is Derek Clark still under investigation by OLAF? Both of which his local police are aware of. OLAF officials have been to Britain to interview individuals who they believed showed his criminality and fraudulent use of public funds – over and above the boasts he made in Derbyshire at the public meeting! Derek Clark came to prominence not just because of his boasts of fraud but many will remember his despicable behaviour and cowardice when he tried to oust one of UKIP’s most loyal supporters in the East Midlands – Peter Baker. I think it is probable he has been found guilty and had to pay back a very substantial amount of money and has been hushing this fact up but that is, without further proof, merely speculation as I find it hard to believe that even The EU Fraud office can be so long winded and incompetent as to take this long coming up with a verdict and repayment demand. Pan EU EFD Group Supporter Derek CLARK MEP for UKIP IS BENEATH CONTEMPT! A Dishonest, corrupt, disloyal, Traitor and Coward! I take exception to such filth telling lies in a cowardly manner. in abuse of his elected office as a public servant! Publicly apologise for telling lies and dragging the reputation of UKIP into his Gutter to try to defend himself! many of you will have read the details of Derek Clark’s attempt to stave off being booted out by members of his own regional party – who are in complete despair and hold him in utter contempt! It is not just the fundamental dishonesty and corruption of the odious little nerd, nor just his betrayal of these United Kingdoms and the electorate. This elderly figure of farce has been a catastrophe for decent Patriotic folk in the East Midlands. Harmless as he may seem shuffling around the EU’s pretend parliament as if he has some relevance other than as a makeweight errand boy for Farage, worth £76,000 a year to him on the 4000 budget! Those who know him in The EU portray him as wandering around in his slippers or gently dozing at his office desk overcome by his own age and bewilderment! In 2004 as a result of the surge in popularity of the Patriotic vote in The UK, and particularly in the East Midlands as a result of the publicity gained by the use of Max Clifford, Roger Knappman as leader, useless as he was he had a track record in The Tories of some note unlike ALL the failures from the Tories who have joined UKIP over the years seeking a route to riches viz David Bannerman and the like. The clincher that got the odious and untrustworthy Derek Clarke elected was the huge gain in publicity as a result of Ian Gilman standing down to let Robert Kilroy Silk in at number two. There was no real hope of a second MEP in the East Midlands, and in fact even a first MEP was in doubt without a great deal of luck. That luck was formed in the lies of Nigel Farage who although it was not in his gift, as Roger Knapman was ostensibly leader, Farage PROMISED Robert Kilroy Silk the leadership of the party if he was elected!! Weasel words later were spun to imply that he had promised Silk that he could STAND for the leadership! This is of course a lie as Robert Kilroy Silk will readily confirm. ‘Standing on the shoulders of giants’ to quote Sir Isaac Newton who was coincidentally born in Woolsthorpe-by-Colsterworth, Lincolnshire in the East Midlands the long retired primary school teacher had at last achieved something as he rode on the wave to his election, carried forward by an idea whose time had come, the lies of Farage and the cupidity of Robert Killroy Silk. Little of note has ever come of Derek Clark’s election and nothing of merit it would seem. You may recall the inept fool that he is Derek Clark, as the MEP for UKIP, turned up at a public meeting in Derbyshire (one of the few he has dared to attend) and boasted of how he had been able to defraud The EU – from a public platform!!! Having thus brought UKIP into disrepute you will note that he then started threatening members that if they said anything about it he would withold any donation he might make to UKIP. the membership has collapsed to a mere 500 odd! I am informed the membership is now about 420 and falling despite renewal forms being sent out at the present rate there will be about 20 left by about the end of June! 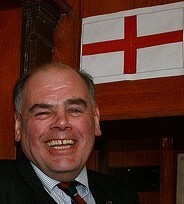 & the treasonous indollent geriatric Derek Clark have trashed the membership by over 90%, how is that value for money? That Don Ransome AND his wife (a taxi driver with no license due to drunk driving! and a TESCO check out biddy!) have managed this is quite a feat. The last time I saw the odious old man he was scurrying down the street head down chattering to himself like a rat with dimentia! The group of senior UKIP members I was with said then he was way out of his depth. Of Derek Clark’s 13 entries on The BBC, for the many £Millions he has cost us, there seems nothing of consequence or note! Clearly Derek Clark is not just a corrupt, disloyal odious and cowardly waste of money but it seems from his record he is a total waste of space but holding public office when he clearly has no skills or ability to offer is hardly sensible as he approaches 80 – especially a job that is so physically demanding if he tries to acquit his duty in view of the travel and hours! This no doubt explains his total incompetence and abject irrelevance, I note for someone who has already had 6 years on this fat cat gravy train his donations seem only relevant to buying his own status and in the last 12 months he has only asked 3 written questions and seems to have made about 5 minutes of speech a month! How can ANYONE justify paying £2.59 Million for a term in office to such a useless and dishonest article. Don’t forget that Derek Clark is still under investigation by OLAF. Derek Clark came to prominence not just because of his boasts of fraud but many will remeber his despicable behaviour and cowardice when he tried to oust one of UKIP’s most loyal supporters in the East Midlands – Peter Baker. Peter Baker a man of redoubtable energy and achievement for his age a tennacious and competent businessman who to this day runs, aided by his charming wife Marrietta, a very viable cabinet making business making bespoke furniture, which HE frequently delivers nation wide. Whilst I might add working dilligently on the patents for his energy saving power production ‘devices’. The odious runt that he is, Derek Clark trumped up the most dishonest of claims against Peter Baker inventing evidence and telling lies he then corruptly convened a disciplinary hearing and colluded with the equally duplicitous self serving creep Gerard Batten – best known for his greed and total lack of integrity. The puppet being used to effect their vile behaviour as a Kangarroo Court was the ever willing dupe Douglas Denny a fantasist and a liar with absolutely ZERO morality, as shown by the irrefutable fact that his own colleagues voted him out of office as returning officer for his dishonesty, corruption and dragging UKIP’s reputation into his gutter. Sad stupid little Douglas Denny will clearly believe any line he is fed, no matter what pond life feeds it to him! The man is both duplicitous and a fool – no wonder in his own UKIP constituency he could only find ONE person besides his wife to vote for him as a PPC – well they know him well there and believed even a relative unknown was an improvement! A measure of the dishonesty, disloyalty and corruption of Derek Clark was that not only had he trumped up charges against Peter Baker to seize control of the East Midlands committee he was horrified and had Gerard Batten refuse to admit witnesses to the Show Trial he had dishonestly and incompetently tried to orchestrate – knowing that the witnesses would show he, Derek Clark, for the liar he is! 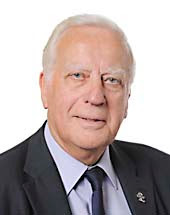 Derek Clark was clearly so ashamed of himself he ran away, not even having the common courtesy to thank those who had attended for him and was too dishonourable to even pay the expenses of those he had lied to and about or the witnesses he had caused to come – the man is a social worm and without honour, integrity or ethics. There having been several meetings that members in his constituency have called to try to have Derek Clark removed the membership under his control has so collapsed and the activists left in disgust that eventually he plucked up the courage to hold a poorly advertised meeting of the rump in Nottingham this week, where he made a complete fool of himself. Firstly this man who has received literally £Millions from the public purse was too incompetent to answer questions from the floor – his thought and excuses process was seemingly so slow he demanded all questions in written form a week before the meeting, to vet out the too difficult and try to work out convincing answers to those he had no option but to answer we assume. Even then this £Million public servant was unable to put on a convincing show and several people I have heard from said he was a joke! I gather from several sources that were there that he made a particular fool of himself ranting at length about this Blog, Junius and Andrew Edwards, who have been lampooning him and telling members the provable truth for some time. His performance was risible, the nasty venal little coward. He was standing there as a public servant telling lie after lie, he was quoting the blogs in detail and then stating he never read them, because they were a pack of lies! – when asked from the floor how he knew they were a pack of lies if he never read them, he was completely stumped for an answer, and however much he blustered he just showed himself for the dishonest, corrupt, nasty little parasite he is. He then went on to rant, making even more of a fool of himself, stating because it was all a pack of lies no one should read the blogs and he was going to have his lawyers sue the three of us – May I commend, before he wastes more UKIP money on such a fools errand, that he considers the response of Prestram vs. Arkell. May I also ask what this odious cowardly worm of a man intends to base his case upon that would not meet with the very clear defence of VERITAS. May I bring it to his attention that he hasn’t a clue who those posting on Junius are, so I guess he will be losing that case in The Courts in The USA – let us hope he has deep pockets as loose he will, just as UKIP’s malicious case against Andrew Edwards when last they tried to suppress the truth from that source, or the case brought by Alan Hardy, or the case brought by John West, or the tribunal Case brought by Nikki Sinclaire, or the previous case brought by Nikki Sinclaire, or the case brought by The Electoral Commission and also when they lost their case against me and had such contempt for the British Courts that they have still to honour both their actual debt of £8.1/2 THOUSAND and their moral debt of £12.1/2 THOUSAND – clearly the filth in UKIP is not just confined to this revolting old man. EVERY SINGLE CASE CITED was lost, and more, by UKIP – at the expense of the benefits of the members and the credibility of the party! Then of course there was the Tom Wise case that was lost which Farage has lied about on a near continuous basis! May I also point out that as far as jurisprudence is concerned, since Derek Clark has NEVER ONCE identified a consequential untruth on any of my blogs it ill becomes him to lay UKIP open to yet another Court case they would surely loose, as I have clearly published upon my blogs that if I in error make a mistake PLEASE advise me of it and I will expeditiously correct it and publish a correction. Where are these lies you revolting old liar Derek Clark? Had I the inclination or the cash to take UKIP to Court for the public utterances and lies of one of their leadership team, at what was effectively a public meeting as numerous people have stated the details of the meeting. May I quite clearly state here and now as a long term UKIP supporter seeking to see filth like Derek Clark tossed out on his ear for yet again bringing UKIP into disrepute, that UKIP Is OUR only Lifeboat and it is festering self seeking liars like Derek Clark who have made it unfit for any decent patriot to vote for, with his destruction of the regional party, collapse of the membership he has caused, outright dishonesty and corruption which is a matter of public record and now his abuse of privilege and office to use that position to lie about me and others at a public meeting. 1. Produce in public an example of a single consequential lie I have ever wittingly told about you or about the leadership of UKIP. 2. Publish on the front page of UKIP web site for a period of not less than a month a full and complete retraction of the pack of lies you told the public meeting and an unreserved apology for having lied about me and others known (Andrew Edwards) and unknown to you (Junius posters & sources), who you have willfully in abuse of your public office deliberately slandered, libeled and defamed. Let it be known that EVERY single fact I have published about you in this posting and elsewhere on my various blogs is true and correct in every material detail. Please be warned I have documentary provenance, receipts and witnesses to substantiate every single fact that I have led in the interest of cleaning up UKIP, in the hope of making it electable for decent patriots one day. Then Go To Junius CLICK HERE then put the name in the search on Junius Right sidebar.